Have you checked out our new #Marchesa collection yet? Hello Pretty ladies! 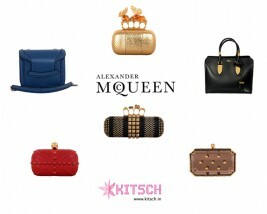 You can now shop your favorite Alexander McQueen bags from the nearest Kitsch store. 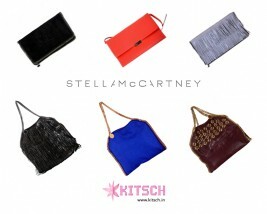 Check out the range of gorgeous Stella McCartney bags & clutches at the nearest Kitsch store. 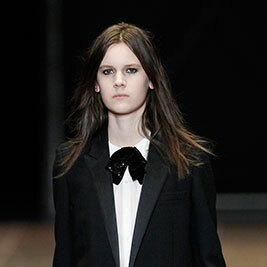 Nothing says effortless chic like a pair of cool pants! Blue or cream – which #StellaMcCartney trousers do you like more? Take a minute and stare at this piece of art! 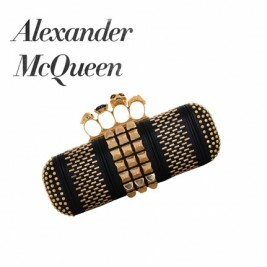 #AlexanderMcQueen never fails to amaze us with the gorgeous knuckle-duster clutch which will instantly upgrade any outfit! 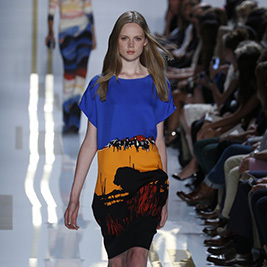 The Spring 14 collection for Alice+Olivia is at the crossroads of prep-meets-pretty. 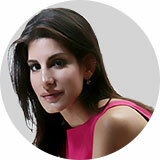 Its the ‘American Girl’ – carefree with a romantic twist! Hit refresh on your wardrobe this season & shop the latest collection of Alice+Olivia available only at KITSCH! I think there is beauty in everything. What 'normal'people would perceive as ugly, I can usually see something of beauty in it.